Good news from the USA: independent trials of the renowned University of Georgia have confirmed the high accuracy of the DOL 53 ammonia sensor. The sensor developed for use in animal husbandry is distributed by the Big Dutchman group. It permanently measures the ammonia concentration in the house air. The trials were conducted by the Department of Poultry Science at the College of Agricultural and Environmental Sciences of the University of Georgia in an approx. 12 x 152 m (40’ x 500’) large, closed broiler house. The scientists completed a total of four trials. Their final report confirms that “the DOL 53 ammonia sensor performed extremely well in initial poultry house field trials”. The University’s study DOL 53 Ammonia Sensor...A First Look is now available online. Click here for “Poultry Housing Tips, Volume 30 Number 1”! higher risk of diseases: Too much ammonia in the air can damage or even completely paralyse the cilia in the birds’ trachea. These finger-like projections trap pathogens and therefore play an important role in the birds’ immune system. If the cilia do not work as required, the broilers get sick more easily. The sensor is easy to connect to the climate controller and continuously provides data. Poultry farmers thus always know the ammonia levels in their barns and can implement measures for correction early on if they detect any issues. Another benefit: in contrast to other sensors available on the market, the Big Dutchman sensor is resistant to the harsh conditions in the barn, such as temperature and humidity fluctuations or harmful gases that might reduce its accuracy. 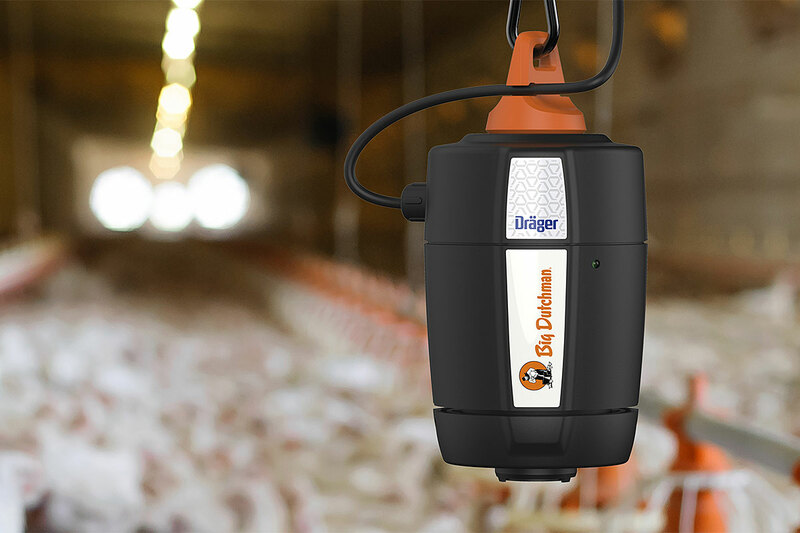 Click on the link below for more information on the DOL 53 sensor (web article “Poultry climate control: New sensor is a milestone for poultry production”). “Poultry Housing Tips”. DOL 53 Ammonia Sensor…A First Look. Poultry growing: Any questions? This way, please! Egg production: Any questions? This way, please!